Hi my name is Jeremy Rupke, I'm a hockey player and a hockey coach. My passion is playing hockey, being a student of the game, and of course teaching hockey. I want to help you become a better hockey player. If you have never heard of me before I would not be surprised, I never played pro hockey and I'm not famous, I'm just a guy who LOVES hockey and I love helping others. I have been playing hockey since I could walk and I have always had a passion for the game. I played competitive hockey in a small town, but always wanted to learn more. One practice and one game per week was never enough, I wanted to learn more and play more, but this wasn't possible. In the winter I skated every chance I got on my pond, and tried to think up new moves, new dekes, how to skate faster, and shoot harder. I was always working on my game, but I spent a lot of time doing things wrong before I got them right. I wished there was a way that I could learn without having to pay to go to hockey camps or pay to play AAA hockey. When I finished playing minor hockey I started coaching, but I wanted to teach more than just 14 kids a year. That is why I decided to create How to Hockey. 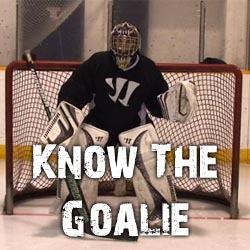 I started this website in 2010 so that no matter where you lived, or how much money you had you could learn to play hockey for free. Not only could you learn to play, but also how to improve your skills. I have been adding new articles and videos ever since to help hockey players improve their shooting, stickhandling, and skating. My Youtube videos have gotten over 4 million views so far and I have over 15 000 subscribers on my channel, I am grateful that I have been able to help so many people improve their skills. When the website started growing in popularity I started getting A LOT of requests for videos and articles, most of my videos and articles are simple and to-the-point so that anyone can learn, however quite a few people wanted detailed instruction. I decided to release and sell a detailed stickhandling guide that would cover everything I know about stickhandling. I figured it would help cover the costs of running the website and I could make a little extra money on the side as well. The guide was so well received that I started working on the Goalie Buster video training course. While growing up and playing hockey I had a lot of coaches, some were good and some were not, but one thing that was missed by every coach (good or bad) was dekes. In the 20+ years that I played organized hockey I never had a single coach teach me a deke, I had to figure out the dekes from watching NHL players and then trying them over and over on my pond. The problem with dekes is that they are complicated and hard to teach to 15 kids at the same time, so most coaches don't bother. Teaching dekes requires 1 on 1 training, and most coaches don't have that kind of time. The fact is most coaches probably only know a few dekes anyways. I decided that I could be the coach that some hockey players never had. I spent months and months putting together these videos so that there would be a detailed on-ice training resource for hockey players who wanted to improve their game. I love hockey so I am always looking for ways to give back and help other people enjoy the game as much as I did. On top of volunteering as a coach I also donate a number of things throughout the year. A portion of any of the money I make from my training courses goes towards helping kids play hockey. Every year at Christmas time I buy a WHOLE BUNCH of hockey sticks, pucks and hockey tape and donate them to the local toy drive. I have also donated to the Canadian Tire Jump Start foundation and started an annual how to hockey grant where I pay for a child's hockey registration who otherwise would not be able to play. My passion is in helping others enjoy the game of hockey, whether it's through coaching, my website, my training courses or donating money and hockey equipment. I am happy knowing that I can help others experience the greatest game on earth! © 2019 Goalie Buster - Breakaway Training Videos. All Rights Reserved.